With over 2 billion active Facebook users, the social media site created by Jesse Eisenberg Mark Zuckerberg, has become the place where an entire generation of people get their news and keep up to date with their favourite celebrities and sports stars. Every sports star has a Facebook page nowadays, unfortunately very much like Twitter, some sport stars only use their Facebook page to shill their latest merchandise. Well this list is going to steer you slightly away from that, as we here at The Sharpe tell you about the top 5 sports stars you should start following on Facebook. A bit out of left field to start off with, but the former Chelsea captain has become somewhat of a cult hero on Facebook in the past few years. This is due to the hilarious videos he takes of himself in various footballing situations in which he proceeds to laugh hysterically. Desailly usually does his trademark laugh while standing in the middle of a stadium, holding a trophy or with current or former players who are shocked and/or amazed by his laugh. 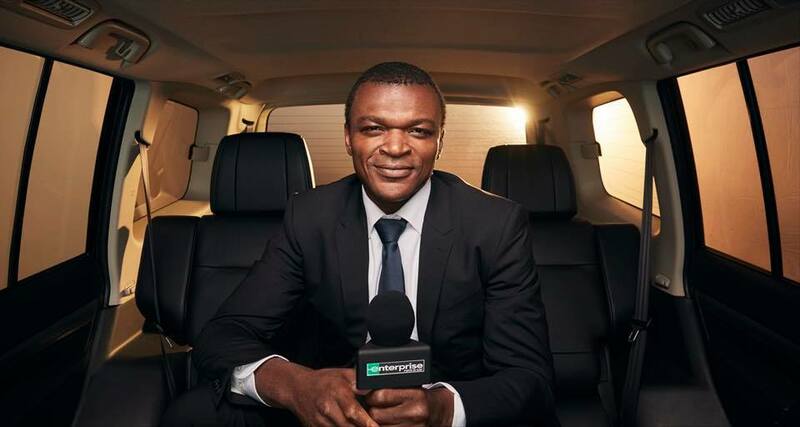 Of course Desailly does not just post videos of himself laughing, he also posts behind the scenes photos from big football matches that he works at as a pundit. He also usually uploads photos from his travels covering football and his work for UNICEF as a goodwill ambassador in his birth country of Ghana. Not a crazy regular poster, Desailly usually updates his followers a few times a month but is definitely worth a like. Again not another straight forward choice, there are a lot of other big name golfers that could have been put on this list, but Pádraig Harrington is and will forever remain one of Ireland’s biggest and most popular golfers. 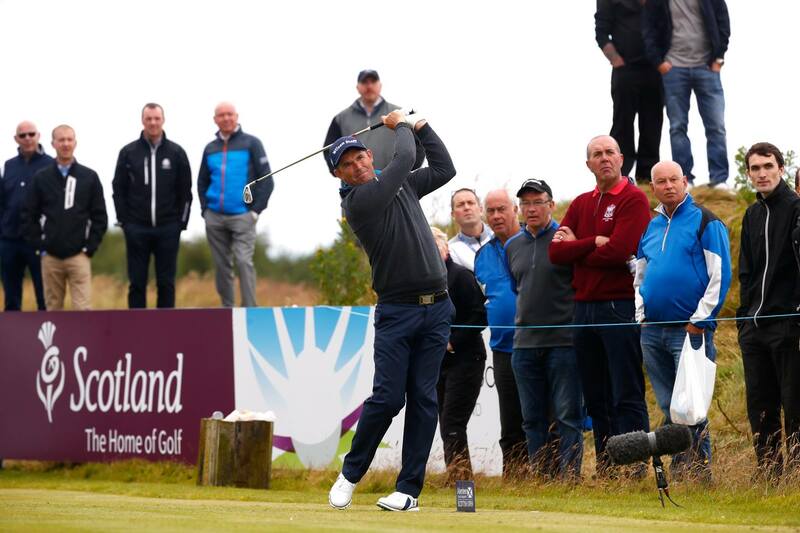 Now entering the twilight of his career Harrington has achieved it all in the world of golf. With just over 54,000 likes on Facebook, Harrington has a modest following on Facebook. However, he gives a fantastic insight into the mind of a pro golfer and is refreshingly honest in his posts on Facebook. There he details his latest activities both before a tournament tees off and again once the tournament is over. Nowadays with so many golfers refusing to give away their secrets on what they do, Harrington is doing the complete opposite, in that he openly tells you how he is feeling before and after tournaments. 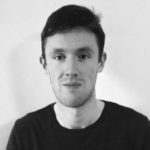 In doing so, he has created a Facebook page that is interesting, totally unique and well worth a look. 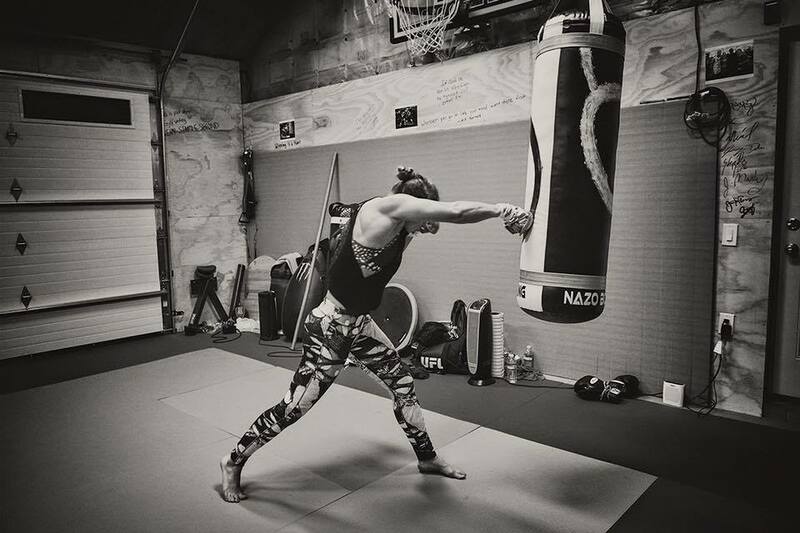 Ever since losing to Holly Holm at UFC 193 and then again on her return to the Octagon to Amanda Nunes at UFC 207, Ronda Rousey hasn’t really done much posting on Facebook. However, Rousey still remains one of the most recognizable names in all of Mixed Martial Arts. Ronda’s Facebook page is worth a like, as she posts about issues that she is interested in, like the works of Hunter S. Thompson and army veteran’s rights. Unfortunately with Rousey being such a big name with a shed load of sponsors, she occasionally has to post stuff about her sponsors, thankfully though these posts are few and far between. The debate as to whether or not Federer is the greatest tennis player of all time can be left for another day. Just last year we took a look at what Roger Federer had left to prove in his career. And after his historic 20th Grand Slam victory at the Australian Open over the weekend, he continues to answer that very question in impeccable style. The Swiss legend is currently hot on the heels of great rival Rafael Nadal for the prestigious first place ATP world ranking, a position he hasn’t held since November 2012. You can be sure his involvement at the Dubai open next month will be well covered on Facebook. 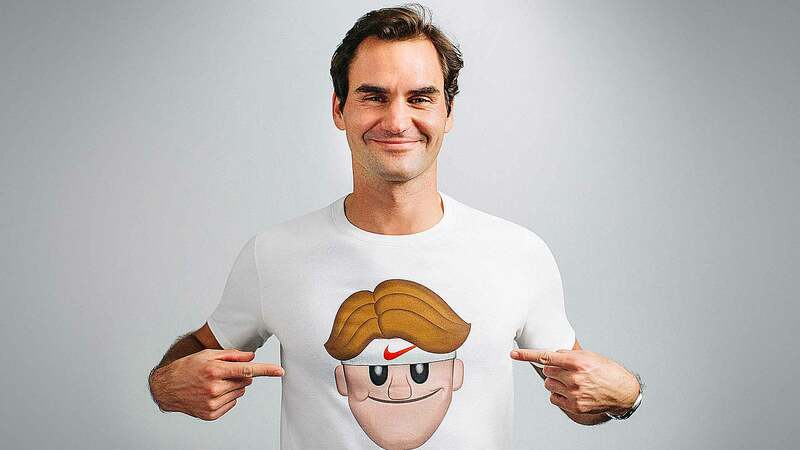 The one thing we definitely do know about the Fed, is that he has a fantastic marketing team behind him who have helped develop his brand and made him the face of the sport for the past 15 years. On Facebook, Roger does occasionally post a bit about his various sponsors. However, it is Federer’s updates outside of his sponsorship posts that are quite interesting, and in particular his video content. Federer does a number of Facebook live posts from his court side practice sessions and they are a fascinating watch, as you witness the most graceful tennis player of all time up close and personal. Federer previously posted a video on Facebook of him lip-synching with fellow tennis players Tommy Haas and Grigor Dimitrov. Trust me when I say you have to see it to believe it, enjoy! Of course the most charismatic track and field athlete of all time was going to make this list. It also helps that he is also the most successful track and field athlete of all time. Yes, Usain Bolt is always entertaining when he appears on our screens at various world championships and Olympics, but he is also a very entertaining man on Facebook as well. Thanks to his natural charisma and boyish behaviour which comes across in his posts, Bolt is one of the most beloved sports stars in the world. Just last summer, he treated us to videos of his training regime on Facebook in preparation for his last ever World Championships at London in August 2017. Bolt is definitely worth a like on Facebook right now, as he starts to enjoy himself and his free time. This past weekend, the Olympic athlete was in Cape Town for the Sun Met and made a show-stopping entrance with a chopper to start the festivities. 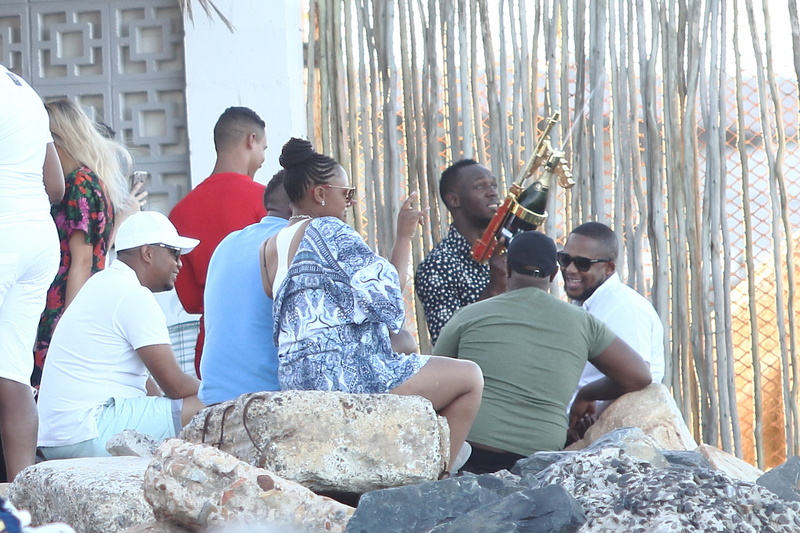 Up above, we see the star and his friends celebrating, the champagne gun made another cameo appearence for the occassion. Following these 5 sport stars on Facebook will help you understand what they feel they have to do to maintain the high standards that they have set for themselves. Also, Marcel Desailly’s laugh will become one of your favourite things to look out for on Facebook. Check back with us here at The Sharpe soon for part 2, as we run down the top 5 sport stars you should be following on Twitter.